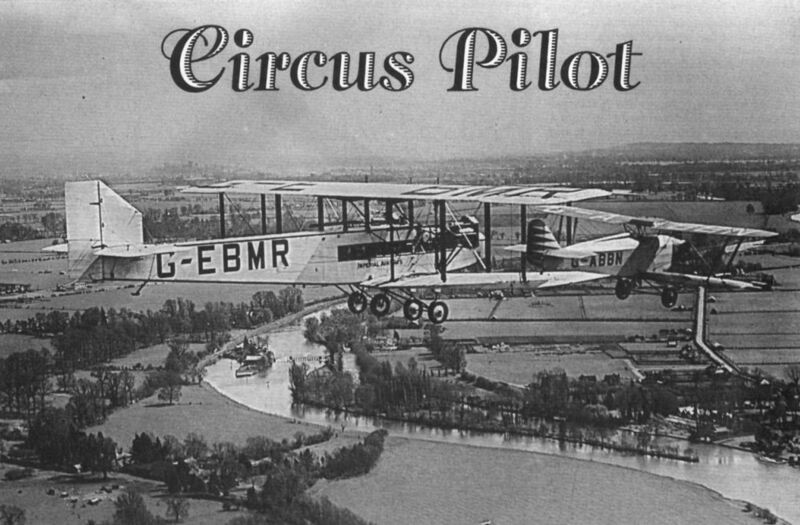 Ex-Imperial Airways Handley Page W.10 G-EBMR flew with Cobham s National Aviation Day Displays during 1933-34. It is seen here near Maidenhead in company with Southern Martlet G-ABBN, circa 1933. 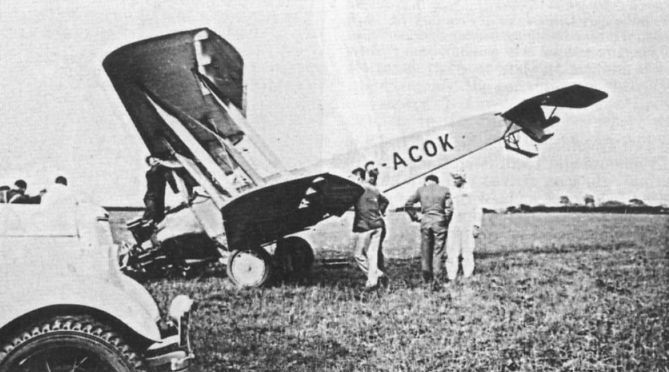 G-ACOK after a mishap in the mid-Thirties. Two views of the Handley Page Clive G-ABYX after it skidded on landing at Boskenso near Falmouth in 1934. Originally named Youth of Australia by Cobham, it later became Astra. 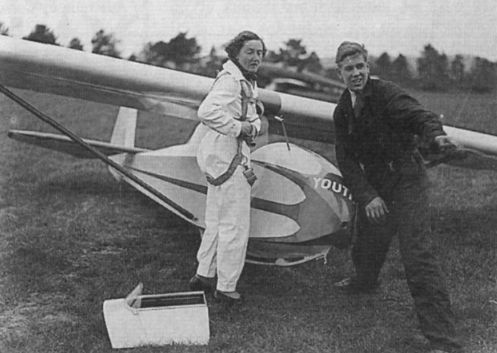 Joan Meakin preparing for a flight in her Wolf glider.